In her memoir, Diana Athill, a former editor at André Deutsch, steps out from behind the scenes and looks back over her long career, which involved editing such luminaries as V.S. Naipaul, Jean Rhys, and Molly Keane. But she also worked on cookbooks, poetry collections, and works of nonfiction on a variety of topics. She was involved in almost every aspect of the process: selecting manuscripts, editing, copyediting and proofing, and even placing ads. I doubt if there was a sentence—certainly there was not a paragraph—that I did not alter and often have to retype, sending it through chapter by chapter to the author for his approval which—although he was naturally grouchy—he always gave. I enjoyed the work. It was like removing layers of crumpled brown paper from an awkwardly shaped parcel, and revealing the attractive present which it contained. ‘You will observe the comment about the writing which confirms what I have thought all along, that none of that fuss about it was necessary.’ When I had stopped laughing I accepted the message: an editor must never expect thanks (sometimes they come, but they must always be seen as a bonus). We must always remember that we are only midwives—if we want praise for progeny we must give birth to our own. I loved this story for what it reveals about the work of an editor and what it reveals about Athill herself. She’s aware of her own talent and wishes to do well, but she recognizes her place in the process, and she has a sense of humor about the sometimes preposterous aspects of the job. I liked her attitude so much, and I think I would have liked to work with her. And even as an editor, a job which I thoroughly enjoyed, I betrayed my amateurish nature by drawing the line at working outside office hours. The working breakfast, and taking work home at weekends—two activities regarded by many as necessary evidence of commitment, both of them much indulged in by that born publisher, André Deutsch—were to me an abomination. Very rarely someone from my work moved over into my private life, but generally office and home were far apart, and home was much more important than office. I was not ashamed of valuing my private life more highly than my work; that, to my mind, is what everyone ought to do. Reading this, I had to remind myself that Athill retired in the 1980s, before we were attached to our e-mail and smartphones, and yet she felt the same pressure we feel today to make our work into our lives. I feel—quite strongly—that I’m better at my job for taking time away from it. But such detachment comes at a cost, then and now. Looking back, Athill sees that she could have earned more and gained more authority if she’d pushed a little harder, but she’s honest enough to admit that she was glad not to have the responsibility that would have come with a higher position. She acknowledges the tension between her own complacency and the push for women’s rights, but she feels no guilt about being content where she was. Here, the book’s title Stet—an editor’s term for let it stand—seems especially appropriate. The last half of the book, which focuses on specific authors she worked with, interested me less than the first half. I’ve only read one of the authors she discussed, Jean Rhys, and I didn’t like Wide Sargasso Sea much, so I didn’t care that much about her relationships with these people, except in the way those relationships affected the work. In the chapter on V.S. Naipaul, for example, she reveals how her personal feelings influenced her assessment of a book loosely based a story of on people she knew and how those feelings led her firm to lose Naipaul for a time. Bits like that were what I enjoyed. I was less interested in the authors’ lives and personalities. I read this with the Slaves of Golconda, so check out their posts for additional views. This is the second review of Stet I have seen in the last couple of days, I must get hold of a copy. 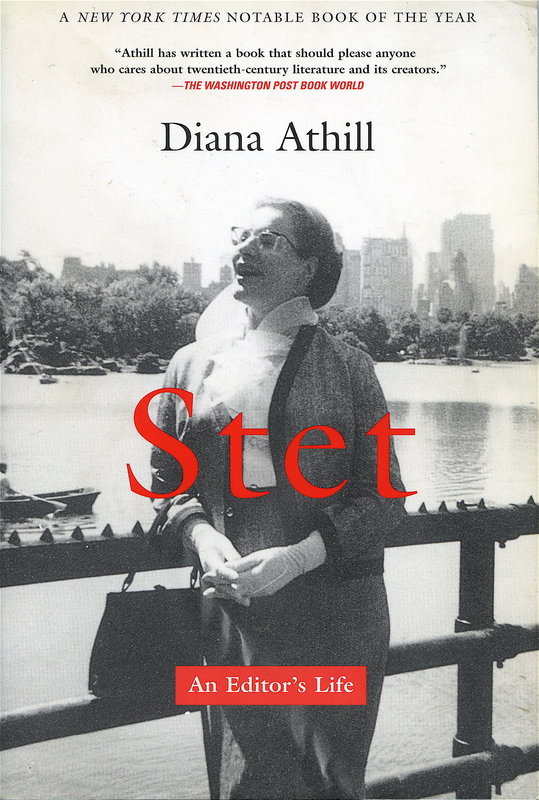 I’ve read two volumes of Dina Athills later memoirs, Somewhere towards the end, and Yesterday morning – I really enjoyed them, she came across as a very sensible woman – and quite definitely someone I would be fascinated to sit down with over a cup of tea. This is the first book of hers that I’ve read, but I’d like to read some of her other memoirs. I enjoyed her voice very much. It definitely sounds like an interesting book. I do quite a bit of editing of technical writing. I have to really hold back my red pen at times and let the engineers character shine through what they write. It is also especially difficult as they are writing for an audience where many readers do not have English as a first language. Since these are people I work with on a daily basis, I have to weigh my decisions carefully about when to make large corrections. I will usually go by and talk with them if I make major changes and explain why I think they need to be made. Sorry for the long comment, but your post got me thinking :-). It is a challenge to hold back on that red pen (or blue pencil in my case). Most of my editing is of outside authors, but I do try to be careful not to lose their voices. But magazine editing brings with it tight space constraints, so sometimes I’ve had to make cuts even I didn’t want to make. I am so glad you joined in on this one! Your insights from your own work as an editor are really interesting and shone a nice light on things I just breezed past. That Tahiti book, good golly, when I read about that I don’t think I could have been so good humored about the guy’s note after publication! If I do a bunch of work, I want credit, darn it! So it is probably good I am not an editor. I very much appreciated her sensible approach to work-life-balance. I get the feeling it was a rebellious attitude to have bot for the time and in publishing. I’ve been lucky enough never to have gotten a letter quite that preposterous, but it’s completely true that an editor’s work is often invisible and expecting thanks and recognition is futile. I have, however, had some lovely notes and thanks from authors, and I’m always pleased to get them. I think that attitude toward work-life balance is somewhat rebellious today. I felt exactly the same way you did about her – I really liked her down-to-earth, pragmatic approach, and the honesty she displayed about her own faults. And it was fascinating to learn more about the editor’s job; and particularly interesting to read your comments on the book given that you know where she’s coming from! It was so interesting to me to see where our experiences dove-tailed and where they differed. As an editor of a professional magazine/journal, I’ve never had to hand-hold authors the way she did, and for that I’m grateful. This one seems to be in the air. As an editor myself, I am certainly looking forward to it after reading the above! 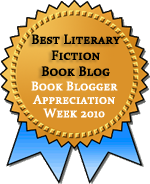 The Slaves group has several bloggers in it, so that put it in the air :) But it’s fun to get a different perspective on the work of an editor.